Tired of the same ol' red-and-black combos on metal band t-shirts? 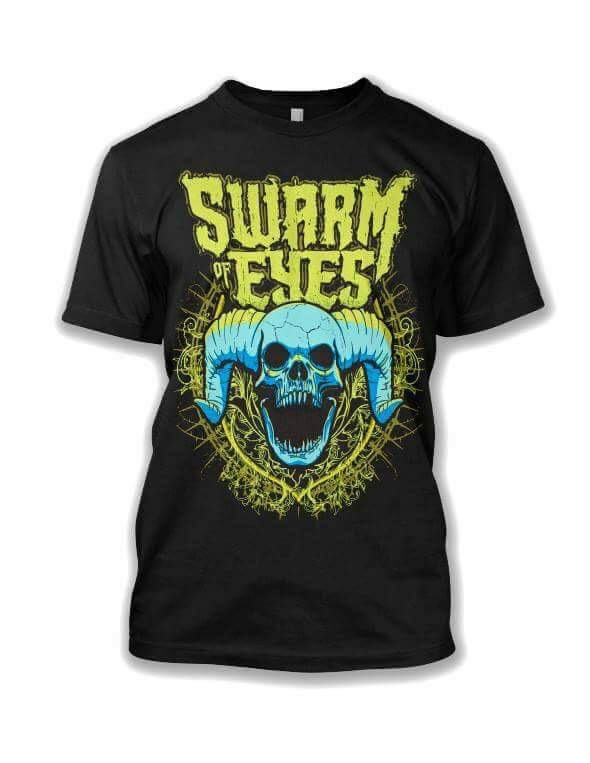 Stand out from the crowd with this eye-catching lime green and blazing blue horned skull, featuring a stylized logo from your favorite band -- Swarm of Eyes. Look hard, but feel soft with this premium cotton t-shirt designed by Mike D of Killswitch Engage at his DarkicoN Design studios! Available in sizes up to 4XL! Shipping included!